The headline of my column on Tuesday asked “Why does AK Party fear lowering electoral threshold?” Before I gave my suggested answer to this question, I explained how the excessively high electoral threshold of 10 percent is not only unacceptable from the point of view of fair representation, but at the same time detrimental to the settlement process regarding the Kurdish problem. I cannot believe that the Justice and Development Party (AK Party) government would be willing to confront the political risks of maintaining the threshold at 10 percent, despite some declarations from AK Party managers insinuating that maintaining it is among the options being considered. Still, according to those declarations, hopefully lowering the threshold to 7 percent is also on the table. Obviously, the AK Party is facing a difficult choice regarding the electoral threshold. But why? I do not think that the intention of the AK Party is to continue preventing the Kurdish Party (actually the Peace and Democracy Party [BDP]) from entering Parliament under its party label instead of presenting independent candidates, as is the case actually. I was quite explicit in my last article, referring to the results of my work on an electoral system reform, on some apparent paradoxes. I asserted in this work that even if the threshold is reduced, if this reduction is combined with narrowing electoral constituencies in such a way that the biggest ones will be limited to six seats, the number of AK Party deputies for the same vote distribution would be higher in this new electoral system than in the current one but with a critical condition: the AK Party vote's share must be higher than 40 percent. Voter intention surveys are regularly published in the press by a number of survey centers. 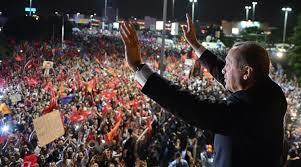 Up until now I have not seen any of them suggesting that intended votes for the AK Party might be below 40 percent. In fact, AK Party electoral support still appears to be quite far from this fateful threshold. So why is the AK Party hesitating to make a radical electoral reform? Lowering the threshold but still maintaining it at a relatively high level, like 7 percent, does not seem, at first glance, meaningful. A 7 percent threshold, compared with the intended votes for the BDP varying around 6.5 percent, is playable for this party. The BDP may accept this challenge since some electoral analysts -- Tarhan Erdem, the chief executive officer of the Konda research center, for example -- believe that the BDP can easily receive more than 7 percent. This is also my opinion. If the threshold is lowered to 7 percent, some angry Kurdish voters of the AK Party can vote for the BDP along with the dissatisfied Turkish electors of the AK Party who are not at all happy with the hesitations of the AK Party concerning democratic reforms. Then what could be the fear that might explain the AK Party's hesitations regarding lowering the electoral threshold? I think that the explanation must be searched for in the AK Party's electoral base. It is well-known that the AK Party has very heteroclite voters constituted mainly by voters sensitive to political Islam, Turkish nationalism and the traditional center right, to enumerate the main streams. The number of independent electors who vote for the AK Party simply because they believe that it is the best party available at the moment should be added to this coalition. The traditional party of political Islam, represented actually by the Felicity Party (SP), as well as the party representing the traditional center right, the Democrat Party (DP), have in fact been marginalized because of the high electoral threshold that pushed important voters close to these two historic political movements to vote for the AK Party strategically. We can also say that for those electors, voting for the AK Party is the second best option. Indeed, voting for the SP or the DP means voting indirectly for the opposition since the SP and the DP cannot get enough votes to enter Parliament. I think that if the threshold is canceled or lowered to quite a low level, the share of votes of the SP and the DP might be easily and sizably increased at the expense of AK Party votes. I think that the AK Party cannot simply support this eventuality. I am impatient to see the AK Party's final decision regarding the electoral threshold.